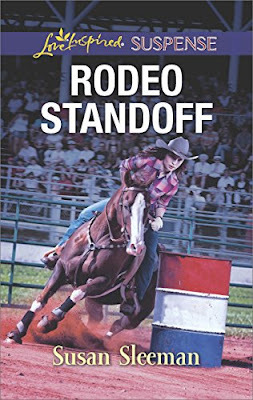 Rodeo Standoff grabbed my attention from the first paragraph with Tessa McCade staring down an angry eighteen-hundred-pound rodeo bull. Her rescuer, Braden Hayes, a former bull rider, teams up with Tessa to find the person who is trying to harm or kill her. 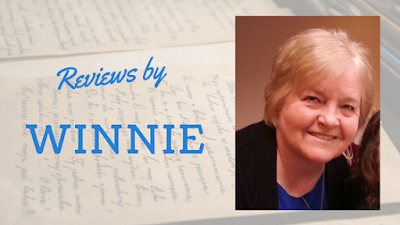 Susan Sleeman’s distinctive mix of suspense, intrigue, conflict, romance, and inspiration keeps the story action-packed and kept me guessing and turning pages to see what was going to happen. I’m always impressed with the authenticity of Ms. Sleeman’s writing. It’s obvious that she has done much research and has worked hard to ensure that the background information is accurate. I would recommend this book to those who enjoy clean suspense stories. I rate this book 4 ½ stars rounded to 5. *I voluntarily reviewed a copy of from the author/publisher. All opinions are my own. Thanks Winnie! Susan Sleeman is a master at this!